Compare prices from several car hire companies in Fuerteventura Airport and find the best price for car rental. Our prices always include unlimited mileage and insurance. Fuerteventura Airport (FUE) is located in the northeast of FuerteventuraFuerteventura Airport info is the second largest island among the Canary Islands.The airport is situated about 5 km south of the island’s capital Puerto del Rosario, and the car journey takes approx. 10 minutes. The airport offers several car rental companies, taxis and two shuttles. 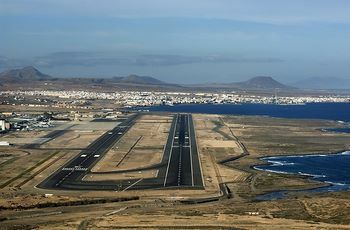 Fuerteventura Airport was built in the 1960s to accommodate the growing interest, and in 2010 there were over 4 million passengers used the airport.Lufthansa, British Airways and Iberia are just some of the airlines that live here, and the flights going to include Madrid, Milan, Paris and Amsterdam. The airport offers a good range of facilities. Passengers can choose from several different stores and eateries, and there are also tax-free, gift shops and kiosks.